The lessons of Nigeria’s Elections 2019 to which I refer here are not abstract lessons-in-general or lessons-for-all-time, but concrete lessons that emerged for the use of political forces on the Nigerian Left that see the urgent need of re-dedication to the great cause and arduous task of building people’s power, popular democracy, People’s national unity and socialism in Nigeria. For all tendencies and segments of the Nigerian Left, this four-point platform should be integral, that is, inseparable into its components. And for Marxists, this unbreakable non-linear chain should be a conscious ideological and political choice. I consider the exercise of drawing strong and usable lessons both necessary and urgent after the tragic, depressing and demoralizing events of February and March 2019 – events that we called general elections. 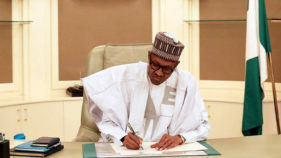 But whatever name the events are officially given in the nation’s political history, Elections 2019 was a massive demonstration of decadence, philistinism and neofascism on the part of Nigeria’s ruling class as a ruling class. Beyond this, and of greater importance, Elections 2019 was a call on the Nigerian Left to be more creative and audacious in mobilizing truly progressive forces to save the Nigerian masses from the current vicious circle – trajectory which Nigeria’s ruling class has imposed on the nation. There is simply no other political force in Nigeria that can reprieve Nigeria as a united country. Aspects of Nigeria’s Elections 2019 from which significant lessons ought to be drawn by the Nigerian Left would include: critical numbers and figures released over the last couple of months – before, during and after the elections themselves – by the Independent National Electoral Commission (INEC); current quality of electoral politics and elections in Nigeria; the array of political forces in the electoral combat; “power of incumbency;” platforms and strategies of the dominant political parties, coalitions and candidates; contradictions between segments of the dominant political parties and the central leaderships and candidates of the parties; the new ethnic or “identity” politics; variants of political mobilization (from popular-democratic, to populist, to neofascist); and reports and conclusions of election observers. This list is, of course, not exhaustive. The elements are overlapping and have not been listed in any strict logical order. Since each of these elements deserves at least one full essay, what I can do in the remaining part of this particular piece is to continue the introduction to the entire subject. According to the United Nations and Nigeria’s National Population Council, the population of Nigeria is now about 200 million. The national median age, that is, the age which divides this population into two equal parts – one half above the age, and the other half below it – is about 18 years. This, coincidentally, is the minimum voting age. The implication is that about 100 million Nigerians are of voting age. Of this number, the Independent National Electoral Commission (INEC) told us that about 84 million originally registered for Elections 2019. We were also told that 72.8 million of this number collected their Permanent Voters Cards (PVCs), while 11.2 million did not. 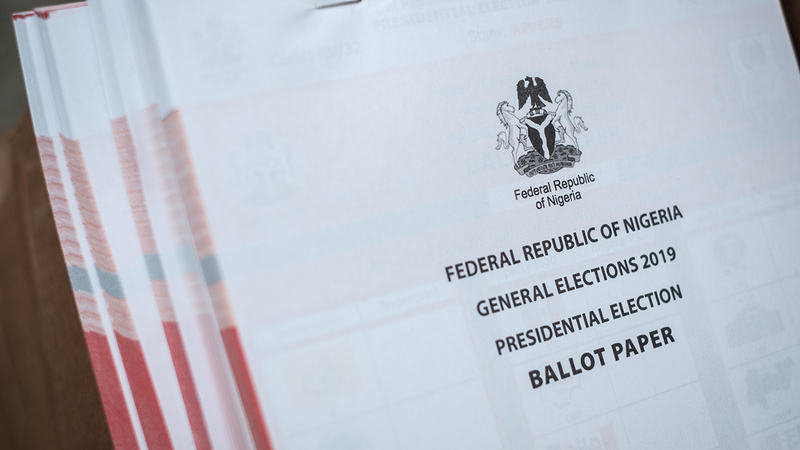 Finally, only about 35 per cent of those that collected their PVCs actually voted in the Presidential and National Assembly elections of February 23, 2019. This was reported to be one of the lowest voter-turnouts in contemporary Africa! The voter turnout was even lower in the Governorship and state Houses of Assembly elections of March 9 and 23. 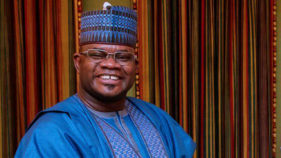 The two leading ruling class parties – the All Progressives Congress (APC) and the People’s Democratic Party (PDP) – dominated all levels of the elections including the presidential contest. And not less than 65 registered political parties participated in the election, including the presidential contest. President Muhammadu Buhari of APC won the presidential contest with 15.11 million votes while Alhaji Atiku Abubakar, the presidential candidate of PDP, had 11.07 million votes. All the other presidential contestants had relatively insignificant numbers of votes. But this result was by no means a definitive statement on these other candidates or the qualities of their political formations. Whatever their individual weaknesses, as political formations and as candidates, the capitalist social order and the political system adopted by the current set of rulers had cynically, but essentially excluded them from the electoral competition ab initio. While the electoral system and regulations endorsed this exclusion, the contest as a whole was a confirmation that no serious mistake was made. 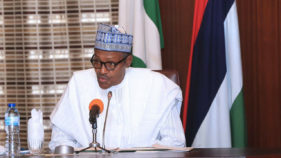 The official results of the contests showed that while President Buhari of APC was stronger in Northwestern, Northeastern, Northcentral and Southwestern geopolitical zones, Alhaji Atiku of the PDP was stronger in the Southsouth and Southeast as well as the Federal Capital Territory (FCT), Abuja. This distribution of electoral strength across the country was roughly repeated at the other levels of the general elections: Senate, House of Representatives, state Governors, state Houses of Assembly and FCT Municipal Government. It is, however, crucial to remember that almost all the results decided and announced by INEC are not only in political dispute but also in legal contestation. Beyond that, it can be safely said that Elections 2019 does not enjoy even a minimum level of public credibility – as a free and fair exercise. Nigeria’s Elections 2019 cannot just be described, metaphorically, as a “war by some other means.” It was a war literally. However, unlike in modern wars where there are international “rules of engagement” which are binding, enforceable and sanctionable, Elections 2019 was a historical “throwback” in the manner weapons of death and destruction were openly and freely deployed by private political thugs on the one hand and armed agents of the state on the other. In some instances, it was possible to distinguish between the two armed formations – by what they wore: armed agents of the state wore uniforms while thugs were in “mufti.” But in other instances it was simply impossible to make such distinctions since thugs often wore military uniforms in “battles of deception” while armed agents of the state, for the same reasons of concealment and deception, went to battle in “mufti”. To further confuse the situation it would appear that in Elections 2019 the power to deploy armed agents of the state was decentralized and devolved not only to lower levels of authority in the armed institutions but also to senior politicians. Now, let us adopt and re-define the concept of “minimum electoral democracy” or “low-intensity electoral democracy” as follows: We begin by completely ignoring the material conditions of the people (that is, how the masses live and reproduce their material lives). We next allow that any type of campaign message, including outright lies, but short of “hate speeches,” can be delivered to the people without hindrance. Let us furthermore ignore the national literacy level; and finally let us ignore the voter turnout, that is, the fraction of the electorate that comes out to vote. The things that are excluded in this descriptive definition are actually among the indices that the political Left, including the Nigerian Left, attaches much weight in the appreciation of electoral democracy. But we can see that even with this exclusion, Elections 2019 shows that Nigeria is far away from electoral democracy of the lowest level.